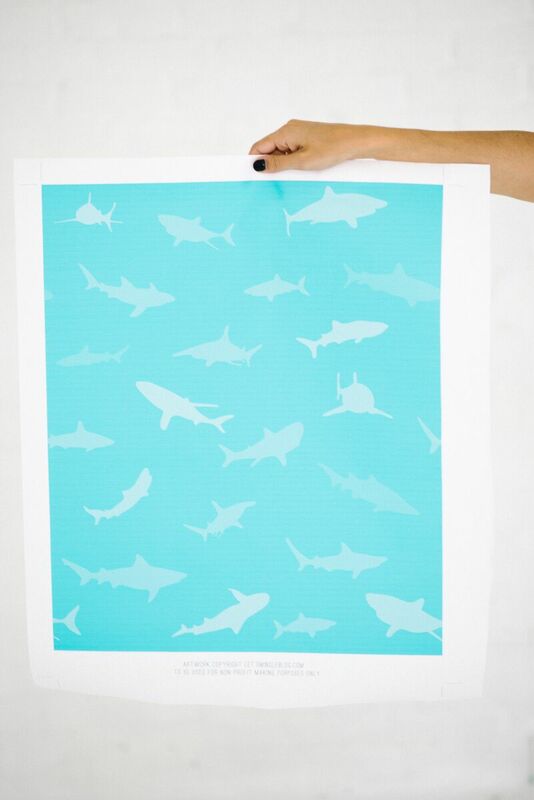 I’m just keeping the shark week theme going with another fun project for you guys. Again, I’m in total heaven this week and any excuse to turn a shark into something cute and fun is right up my alley. (And yes, I completely realize that sharks are not cute and fun in real life. I’m going with misunderstood). Either way, I feel like today’s project is just that….cute, fun, and irresistible to boot. Come on….tell me it’s not awesome. I dare you. 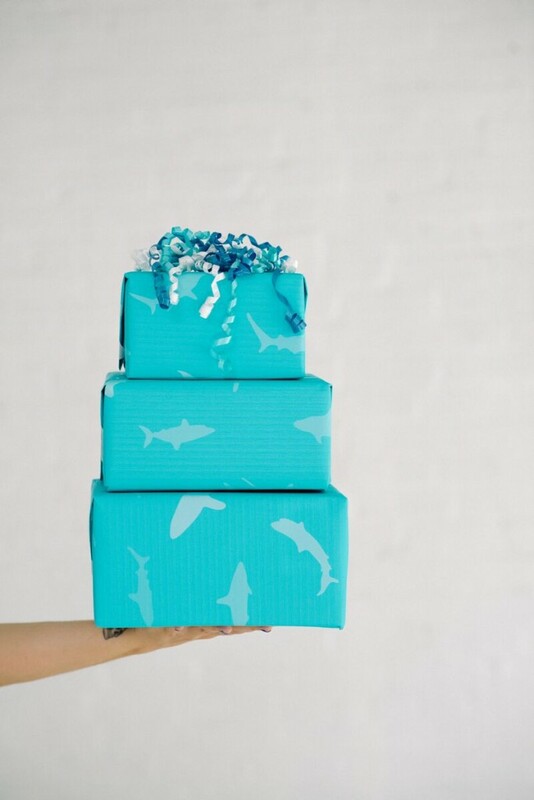 This printable shark gift wrap is perfect for a birthday party, pool party, or just for me that person in your life who happens to be obsessed with shark week. The colors really pop and are perfect for a summer soiree! First, print out your file. The original file size will fit on a traditional size of printer paper (8.5×11) but you can also take the file to your local print shop to have it enlarged to print bigger. 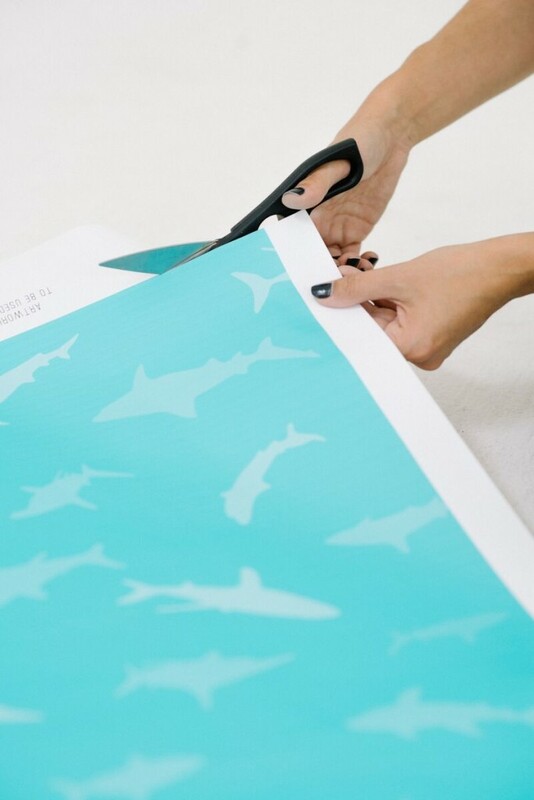 Next, cut out your wrapping paper sheet by following the cut lines printed on the edge of the file. 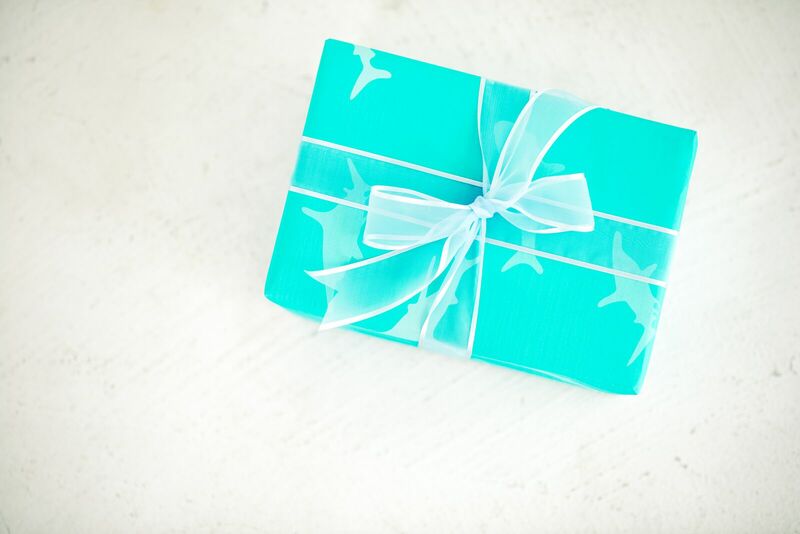 Now, all you need to do is wrap your gift! 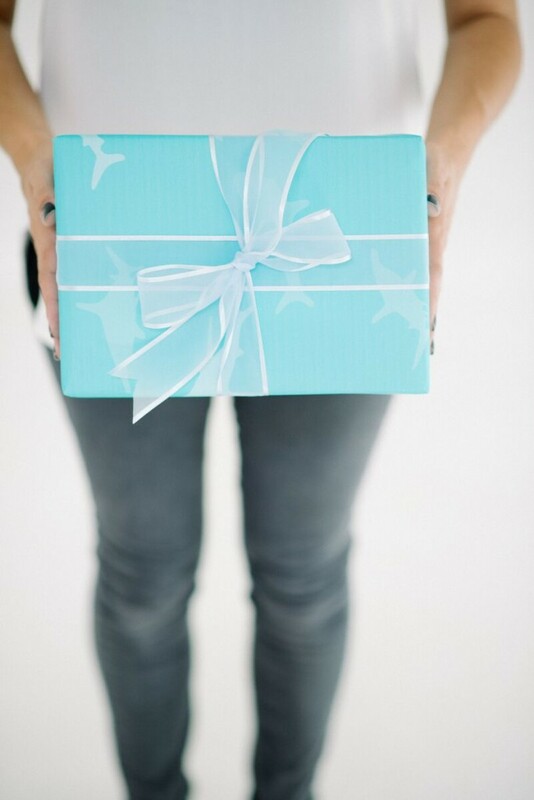 You can stack multiple gifts together and top with multi-colored curly ribbon, or just use it for a single package and tie with a bow. 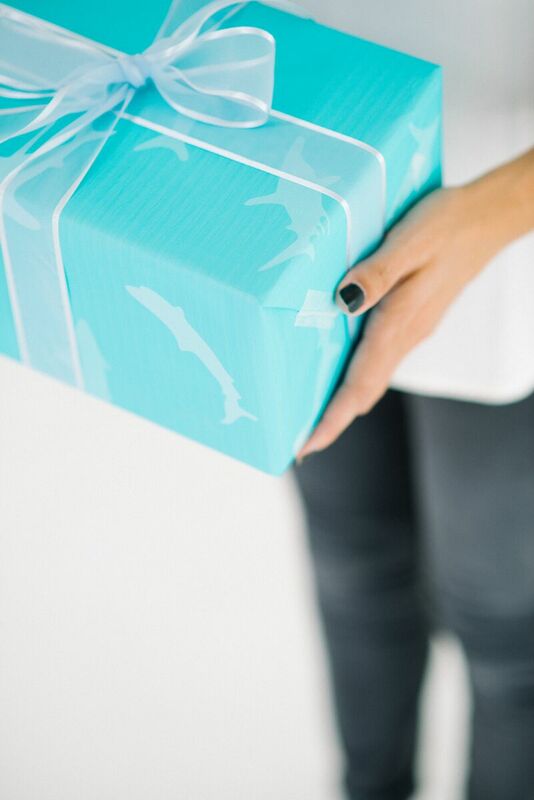 Not gonna lie….I’m pretty much obsessed with this paper. I’ll be looking for any excuse to use it for the next party I attend.